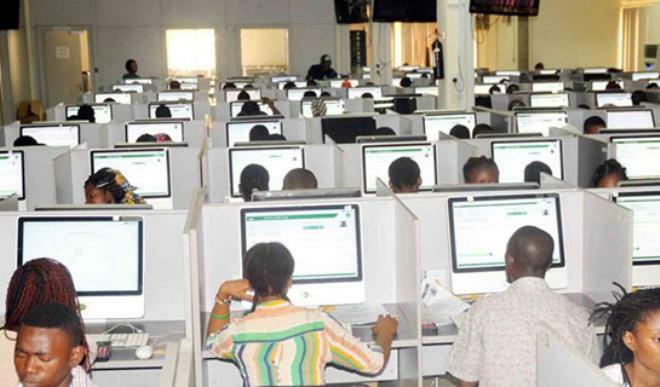 The Nigeria Security and Civil Defence Corps (NSCDC) says it has uncovered a fake Joint Admission Matriculation Board (JAMB) centre in Maiduguri. The Commandant of the corps in Borno, Ibrahim Abdullahi, told the News Agency of Nigeria (NAN) on Sunday in Maiduguri that operators of the fake centre were defrauding applicants. Abdullahi explained that the centre was uncovered on Thursday at the Kawu Shopping Complex along Lagos Street of the metropolis. 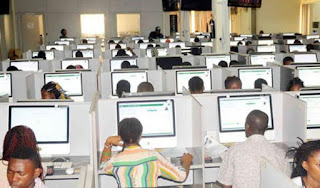 He said that men of the command also arrested one Abizo Precious Idowu, a 31-year-old from Imo who had collected N1,200 each to register about 180 students under the Unified Tertiary Matriculation Examination (UTME). “Without any doubt, the command had discovered that the Computer Based Test Centre (CBT) is fake. Even the server is for Abia state. “His accomplices are on the run but the command is doing all it can to track them. “We will make sure he refunded all the money he collected from the students while he will be made to face the law.